When asked how to break up a budget for a headphone rig, the best advice is usually to spend the most on the device actually making the music (in this case a headphone) then source and amplifier. There is some debate as to the actual split between those last two categories, but the logic still makes good sense for most investments. But what happens when one achieves a high level of performance on a transducer level? Not to worry. 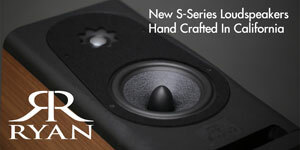 The good folks over at Woo Audio have you covered. The new WA33 headphone amplifier will set you back a cool $8k for the base model (the subject of today’s review) and takes a serious swipe at the pinnacle of tube amplification for non-electrostatic headphones. There are more premium levels available in an “Elite Edition”, and of course tubes will roll as part of any enthusiasts long term experience. Cost and value-conscious nay-sayers may be priced out but not to worry, Woo does have a wide line of much less expensive options that share much of the same build quality and tight sonics that grace the upper end of Woo’s product line. 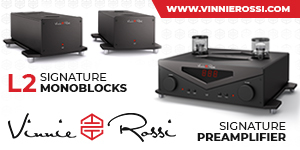 Checking out the entry level WA3 or WA6 is highly recommended for those looking to start their analog tube experience with a headphone amplifier that is built like a tank. The WA33 is also built like a tank and out of the box weights a mighty 53 lbs. without tubes. For this piece and other flagship options, Woo has moved away from the umbilical cord power option to connect the anodized aluminum PS unit and tube unit and instead opted for a shared centered column wedged in between the two units. The impact effects the design in a number of ways. For one, there are less detachable cords sticking out the back, but also this connecting tunnel allows for cable jacks to grace the lower panel closer to a resting hand. Volume knob and all manner of switching controls are still reserved space on the top tube-centric case as are inputs plugged into the back side. The flip side to the new chunnel (cable-tunnel) is that the power supply can no longer sit side by side or completely separate from the tubestage. Not a big deal for this reviewer, as a stacked, more vertical stance is almost always preferred for real estate purposes. 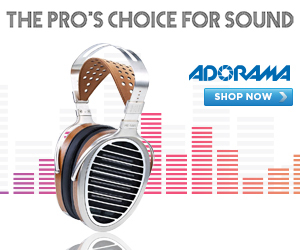 Color options for the amplifier come in the form of audiophile silver and black. Woo has never shied away from hefty casework and while not the most showy of high end esthetics, there is firm sense of durability and longevity that accompanies the hearty click of gain selector or light resistance of the main volume knob. Like most tube gear the amplifier is slightly microphonic – if you tap the case you might hear something in the headphones. Not through the headphones from the outside, but actually inside the signal. Just an interesting phenomena really, and nothing that would ever effect day to day listening outside of a listening session during an earthquake. Cables click in place and tubes warm up in proper working order on the first try. The amp is beefy, and its physicality reflects some of that internal prowess as well. The WA33 is a fully balanced amplifier, and takes ques from the single case WA22 ($2.5k) that has been in the Woo lineup for some time and has been highly regarded as classic piece since its introduction way back in 2009 (that’s like an easy 75 dog years for high end personal audio). Balanced connection are its clear intent for usage, offering two sets of full 3-pin XLR connections as inputs along with one set of SE analog ins. The outputs offered are a single pair of XLRs to act as a variable output to an external amp and three headphone connections, one stereo 4-pin XLR, two L/R 3-pins and a ¼ inch single ended. The SE jack does receive a signal from the balanced inputs and the balanced output works from a SE source but if an owner is spending this much on his or her headphone amplifier, total balanced throughput should really be the main priority here. 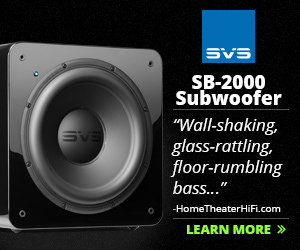 The tube topology is push pull, Class A and capable of a soul-crushing 10 watts per channel. While this may not sound impressive for a full size speaker amp, in terms of headphones this is an absolutely massive amount of power to push (or pull). 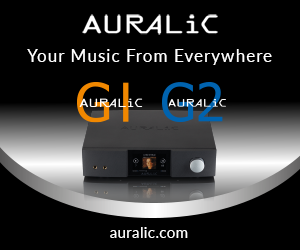 There is also a two level gain switch along with a low and high impedance option. 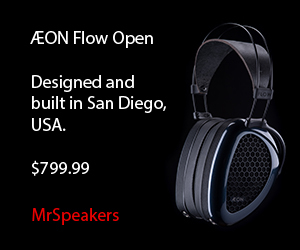 There is no problem recommending this amp with any full-sized headphone on the market. 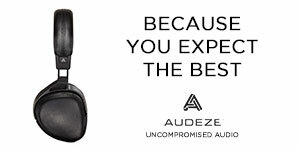 Using the sometimes finicky Audeze LCD-4 planar magnetic, there was no issue reaching full listening volume just a mere shake away from the zero starting point on the dial. This was a surprising contrast to the half to ¾ turn on many of the other amplifiers on hand. 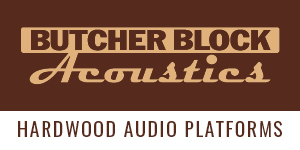 Lighter fare like MrSpeakers Ether Flow managed well on both gain settings, but for most part critical listening took place on the high gain setting as this proved to be a preference (if your headphones allow it). This full-sized amplifier is not really suited for super-sensitive IEMs, as the initial jump from off to loud listening volume is too dramatic of a swing for proper implementation. Again, this amplifier is intended for big, expensive headphones capable of some of the best sonics available on the market. Listening for the headphone section took place with WyWires RED headphone series for the balanced connection and the Silver series for the analog interconnects. An AudioQuest power cable was used on the reverse side as the WA33 does not come with one included. 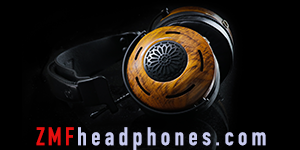 A large swath of headphones were used to evaluate, but stuck close to three of our favorites, the previously mentioned Audeze LCD-4 ($4k), MrSpeaker Ether Flow Open ($1.8k) and ZMF’s Bio Cellulose Auteur ($1.6k). It does take a little while for the tube sections to warm up, but a handy red ring around the power button blinks while this mode is active. There might be a slight buzzing noise emitted directly from the amplifier (not though the jack) during this phase as well, but the line level from connected headphones is dead quiet during regular listening. There have been several songs that have been thrown to the zeitgeist of audiophile tracks as references for music that fully represents entire spectrum of sound for testing purposes. During a tour of Harmen’s testing facilities in California, researcher Sean Olive expressed a nomination for Tracy Chaplin’s Fast Car. While not the most uplifting song every penned, it does a fine job as an amplifier illuminator. Though the WA33 the polished dynamics of the tube driven amp really laid the foundation for a capability to be drawn into the music. The bass was so supportive of the rest of the mix, the overall presentation sounded accurate, but also fun. If one was to break down the feeling into more certain terms, you could look at two separate, but intertwined ideas. 1. its relaxed 2. its intimate. This Woo isn’t relaxed in the sense that it has opened its grip on transparency, control or otherwise, but rather it finds a balance between the analytical nature of pureform detail pass-along and the slowly creeping edge of overpopulating the notion of information presentation. It’s the emotional equivalent of someone saying “relax, we got this” before coordinating a game winning play. There both confidence and authority in the delivery. The intimacy is derived from a robust tonal structure that fills in the lost spaces between reality and recreation. The Questyle CMA 800R current mode amplifier has an energy the is quite unique unto itself. While this energy usually plays well into an interesting and exciting translation, it felt almost thin next to the WA33’s powerful and authoritative control of the situation. The Woo is not an acquired taste, it’s the strawberry of the fruit world, the cherry flavor of the candy world, and would never find itself stuck in the binary nature that coconut finds itself in on a daily basis. By comparison the over-excited edge of the 800R gets filled in underneath that metaphoric edge, like a painter filling in the black and white outline of a sketch. It isn’t colored, or even oversaturated but side-by-side it fills in the slight undertones and perhaps adds a little more human element to voices. Listening to Death Cab for Cutie’s Passenger Seat, Ben Gibbard’s vocals were raspy in a closer version to reality than the Questyle could muster. The LCD-4 paired very well with the WA33, responding in turn with increased levels of volume. The somewhat difficult-to-drive headphone nearly begged to be pushed to 11, but all in moderation – even with headphone listening. As a pre amp, the lack of a remote control may hinder some operation from a main-room speaker rig. However, if used in a desktop format with a nice pair of monitors or other near-field listening the just-in-reach knob of the amplifier rematerializes as a viable solution for speaker listening. Just for the sake of exercise, critical listening did take place with the Benchmark DAC3 and AHB2 speaker system with the WA33 swapping in and out of the chain (the DAC3 can also act as a pre). Connected to the TAD Micro Evolution One as back end, much of the positive qualities of the headphone section remained fairly intact. Vocals from audiophile classics like Norah Jones’ Don’t Know Why conveyed plenty of emotion and connective timbre, and landed on the analog side of things in proper order. There was very little low end sag and tone junkies will definitely find their fix among the tender embrace of the warm glowing tubes of the WA33. The WA33 could very well be the best sounding headphone amplifier ever to make its way into the lab, but its also the most expensive. Could it sound better? Maybe. I do recall hearing Woo’s own pinnacle monoblocks ($16k) at an audio show complete reset my thinking for what can be achieved in person audio with proper support, but lets keep things (somewhat) practical for this exercise. The dual chassis case will fit on a desktop and despite its high society price tag is manageable and fully balanced for an end-to-end experience that can both wow and whisper. 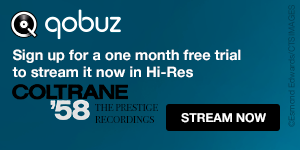 The bonus preamp callabilities make some sense for near field or desktop listening and all other qualifiers as a top tier headphone amplifier are firmly checked. If you have the disposable income, highly recommended.